The boldly restyled 2015 Honda CR-V (http://automobiles.honda.com/cr-v/) compact sport utility vehicle and the class-leading 2015 Honda Odyssey minivan (http://automobiles.honda.com/odyssey/) have been recognized by U.S. News & World Report as 2015 Best Cars for Families. This is the fifth year in a row that the Honda Odyssey has been selected as the Best Minivan for Families. "Recognition from the Best Cars for Families awards for our top-selling CR-V and Odyssey demonstrates that the Honda brand values align with the needs of family buyers in terms of performance, fuel efficiency and safety performance," said Jeff Conrad, Honda division senior vice president and general manager. "The CR-V and Odyssey were designed to offer the ideal vehicle packaging for transporting families in comfort and style positioning Honda strongly in the competition for family buyers." The new 2015 Honda CR-V received the most significant mid-model cycle refresh in its history, with a new direct-injected Earth Dreams Technology™ i-VTEC® engine and continuously variable transmission (CVT) to improve performance and fuel efficiency. A new suite of Honda Sensing™ safety and driver-assistive features on the Touring trim, along with significantly enhanced exterior and interior styling, and a long list of new family-friendly standard and available features bring a new level of sophistication to America's top-selling SUV1. The Odyssey received a multitude of powertrain, styling, interior, feature and safety equipment upgrades for the 2014 model year, including the highly acclaimed in-vehicle vacuum cleaner, the HondaVAC™, featured on the Odyssey Touring Elite. Other upgrades designed to meet the needs of active families included the addition of a standard 6-speed automatic transmission resulting in receipt of class-leading EPA fuel-economy ratings, enhanced safety equipment and connectivity upgrades. The Best Cars for Families award methodology combines professional automotive reviews, safety and reliability ratings, seating and cargo volume and the availability of family-friendly features. 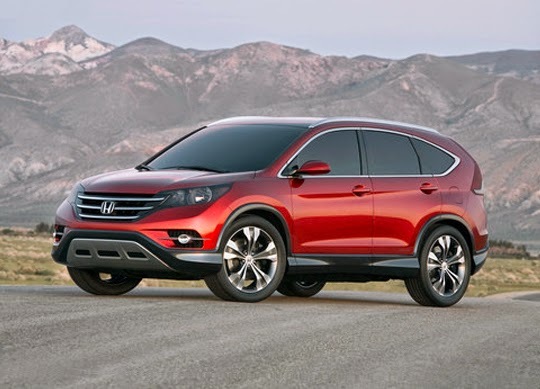 The 2015 Honda CR-V and Odyssey and other winners can be found at http://usnews.rankingsandreviews.com/cars-trucks/Best-Cars-for-Families/. 1 Based on Automotive News Center data for all SUV and CUV models 2004-2014 calendar years. Honda offers a full line of reliable, fuel-efficient and fun-to-drive automobiles for American car buyers through approximately 1,000 independent U.S. Honda dealers. The Honda lineup includes the Accord, Crosstour, Civic, Fit, CR-Z, along with the Pilot, CR-V sport-utility vehicle, the HR-V crossover and the Odyssey minivan. Honda has been producing automobiles in America for more than 30 years and currently operates 16 major manufacturing facilities in North America. In 2013, more than 94 percent of all Honda vehicles sold in U.S. were made in North America, using domestic and globally sourced parts. U.S. News Best Cars, the automotive channel of U.S. News & World Report at www.usnews.com/cars, has published rankings for new vehicles sold in America since 2007 and rankings for used vehicles since 2012. U.S. News also publishes the annual Best Cars for the Money awards. U.S. News Best Cars has grown in popularity and influence each year; in 2013, the site received over 40 million unique visitors. Over 65 percent of visitors were actively shopping for a car, while 80 percent of those active shoppers reported that the U.S. News Best Cars site influenced their car purchasing decision.